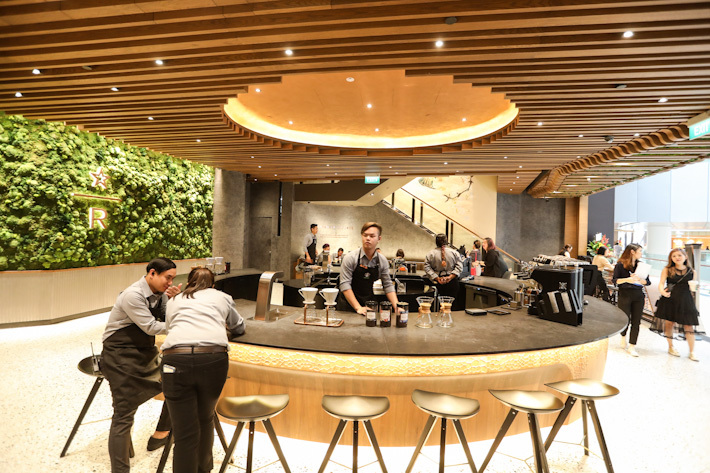 Starbucks Reserve at Jewel Changi Airport is Starbucks Singapore’s latest addition to our shores, a dazzling gem in the ever-busy airport! The new store comprises two levels, decked out in its signature classic wood furnishings with touches of lush greens, matching the interior of Jewel Changi Airport’s modern and nature-filled interior. Not only does the store look fancy, but the drinks and food here are getting an upgrade too! This means coffee lovers will get to choose from a wider selection of fragrant coffee beans and brewing methods such as Pour Over, Coffee Press, Siphon Brew and Chemex. 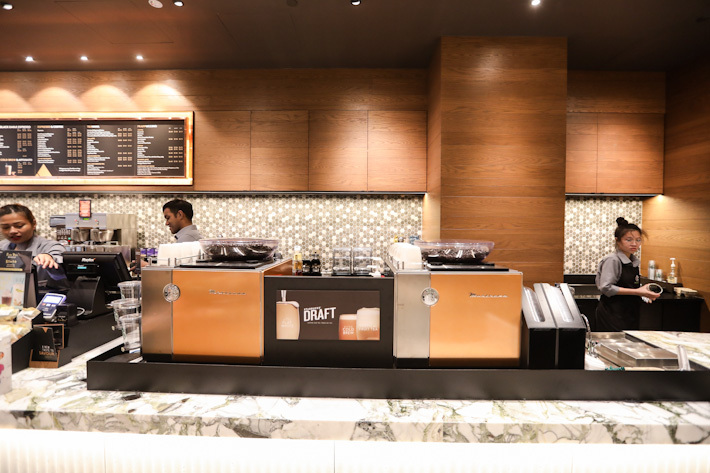 Starbucks Singapore has also partnered up with Udders, our own local ice-cream parlour, to create caffeinated drinks that combine the richness of coffee and sweetness of ice cream, such as Classic Affogato, Cold Brew Malt and Cold Brew Float. In addition, a four-tap Nitro Brew is available here too, the second in all of Asia. Choose from Nitro Flat White, Nitro Green Tea Latte, Nitro Caramel Macchiato, and Nitro Tropical Fruit Tea. Dishes on the food menu also take on a unique and well-loved local flavour at this flagship store; you’ll have to try out their Milo Chocolate Tiramisu, Satay Chicken Ciabatta and Hainanese Chicken Rice Quinoa Salad. 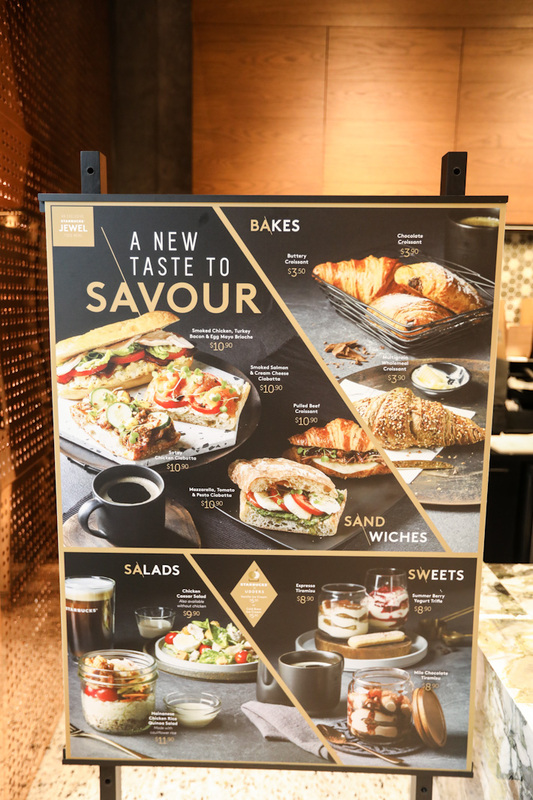 With so many new food and drink options to try out at Jewel Changi Airport, this Starbucks Reserve flagship store is not one to be missed by coffee connoisseurs and food lovers alike!